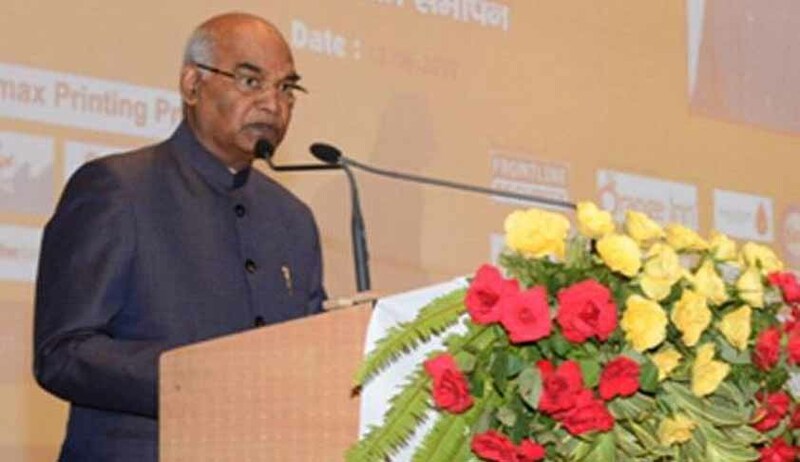 The President of India, Mr. Ram Nath Kovind, on Saturday, stressed on the necessity to avoid delay in justice delivery and suggested that adjournments should be resorted to only as a last resort. The President asserted that the citizens should have faith in the judiciary, but yet, it is the common man who tends to avoid knocking at its door. This, he said, needs to change. Mr. Kovind was addressing a programme after laying the foundation stone of the 'Nyaya Gram project' of the Allahabad High Court. Lauding the project, he hoped that it would prove to be a milestone in fulfilling the infrastructural requirements of the High Court. The plan to establish a judicial academy on the Nyaya Gram campus, he said, will significantly contribute to the capacity of the lower judiciary in Uttar Pradesh. Mr. Kovind then went on to emphasize on the need for accessible and affordable justice, saying, "Judgment, as far as possible, should be delivered in local language so that the litigant could understand it easily and in a much better way." He also suggested that if the practice of arguing in local language gains momentum, it would make it easier for the common man to understand the proceedings. He then appreciated the Chhattisgarh High Court for making its orders and judgments available in Hindi and requested the other High Courts to consider this as well. Mr. Kovind further lauded the Allahabad High Court for aiming to aid the disposal of around 60 lakh cases pending before the lower Courts, highlighting the fact that more than 3 crore cases are pending in Courts across the country.